Below we have outlined some basic tips on what to look for in a certain precious metals investment company. 1. Look at the holdings of each gold investment company, to determine just how much each one actually has in physical metals. This will also show you what percentage of the holdings are not in precious metals, and allow you to evaluate whether a specific gold bullion securities company is a good match for your investment criteria and guidelines. 2. Evaluate the past performance of each gold investment company. Look at just how well the company has done over the last one, three, and five year period, as well as more recently. This will allow you to average out the performance, and get a better idea of whether or not a particular investment is right for you. 3. Examine the fund manager closely before investing in any gold investment company. This is the person who will make the investing decisions, so you want to make sure they know what they are doing. Look at their level of education and experience, as well as their performance. 4. Consider the fees and costs involved when investing in any gold investment company. You may pay less for a gold investment in India than you would for one in Canada, but there may also be drawbacks with these investments and they are not right for everyone. 5. Some of these companies may involve higher risks than others, and not every gold investment advice has the same value. Watch for companies or brokers who receive compensation if you buy into the investment. This can cause a conflict of interest, and should be avoided. 6. The company should be properly registered and licensed if necessary. With a public bank gold investment this is usually not a problem, because the bank has all of the necessary paperwork filed. Some new companies may not be completely legitimate in this area, and that can create problems later on for the investor. 7. Research each gold investment company carefully, and find out as much as you can before you make your final choice. 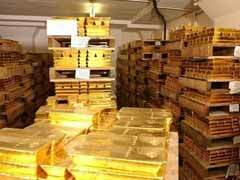 With the high price of gold bullion recently many scams are also out there. The more you know about each company the better your decisions will be. Better Business Bureau is a good online resource, especially if you have some concerns regarding a company’s integrity and former clients’ reviews.